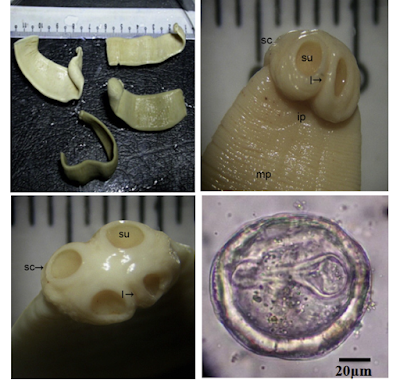 How long can a tapeworm live inside an elephant before the elephant shows signs of sickness? It's more about how many parasites there are rather than how long they have been there. Being infected with parasites does not equate sickness regardless of during - most wild animals are running around perfectly fine while loaded with parasites all the time, it's more a matter of if they have too many. Above you stated that older elephants may develop a resistance to the parasite, how does the immune system develop this immunity? Is it just like any other pathogen? Could it be that younger elephants are more infected with these tapeworms because, being small, their food source is nearer or on the ground? That they pick up a lot of debris dropped by the larger members of the herd and thus more dirt?